Golden Dazy, 42′ IOR 2-ton. Ron Holland Designer. Built by Gougeon Brothers Inc. in 1972. 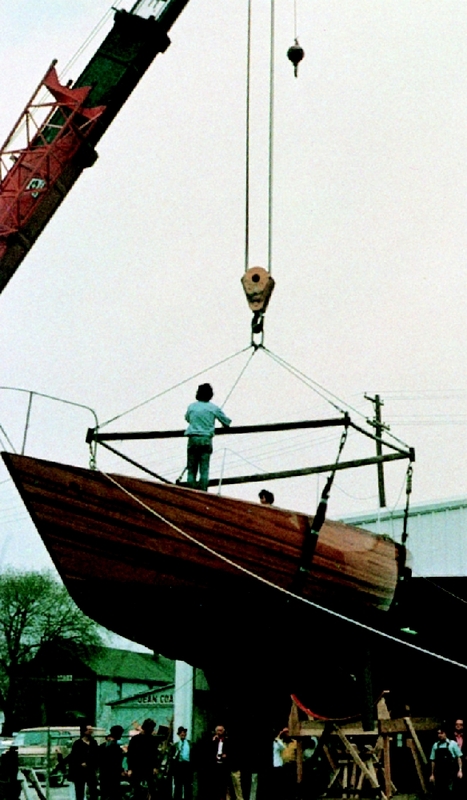 This entry was posted in Yacht & Large Vessel Construction and tagged Epoxyworks Special Issue, Fall 2005, Golden Dazy, Gougeon Brothers, Inc., Ron Holland, WEST SYSTEM Boat Gallery on January 1, 2015 by ewadmin. 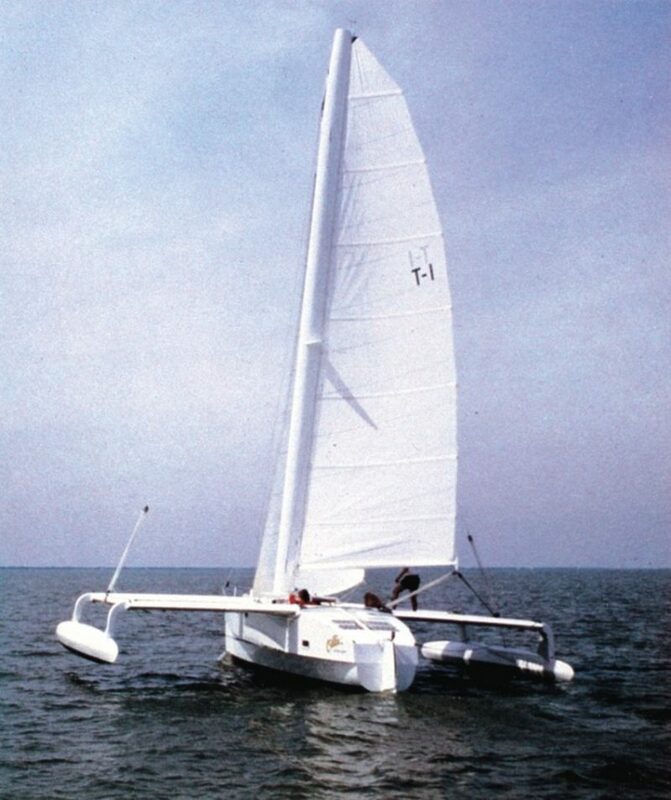 Ollie, 35′ trimaran–Jan Gougeon/Gougeon Brothers, Inc. designer/builder, 1985. This entry was posted in Boat Construction, Multihull Construction and tagged Epoxyworks Special Issue, Fall 2005, Gougeon Brothers, Jan Gougeon, Ollie, OSTAR, Trimaran, WEST SYSTEM Boat Gallery on December 26, 2014 by ewadmin. 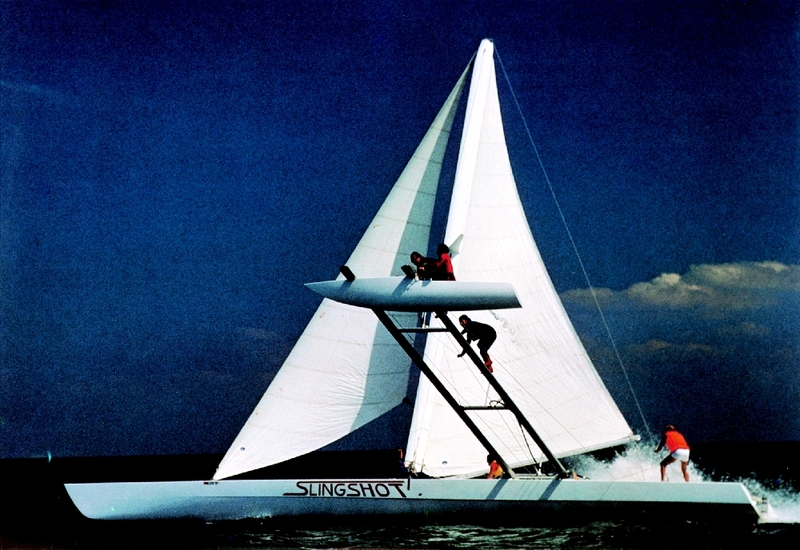 Slingshot, 60′ proa–Georg Thomas designer, Gougeon Brothers Inc. builder, 1978. Photo by Dave Powlison. This entry was posted in Boat Construction, Multihull Construction, Yacht & Large Vessel Construction and tagged Epoxyworks Special Issue, Fall 2005, Georg Thomas, Gougeon Brothers, proa, Slingshot, WEST SYSTEM Boat Gallery on December 22, 2014 by ewadmin.